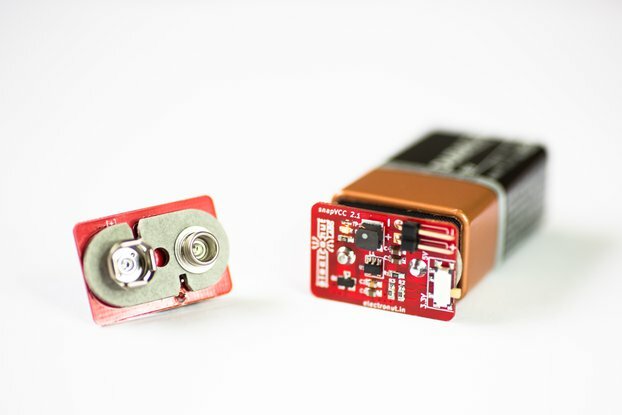 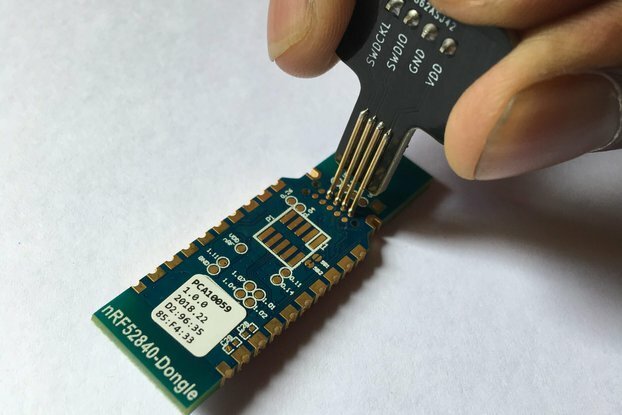 A tiny nRF52832 BLE development board that can be used on a breadboard or as a PCB module. 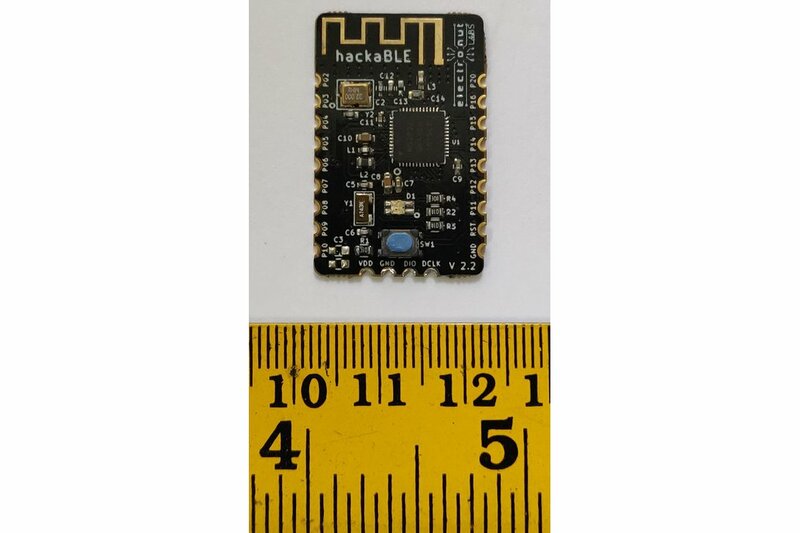 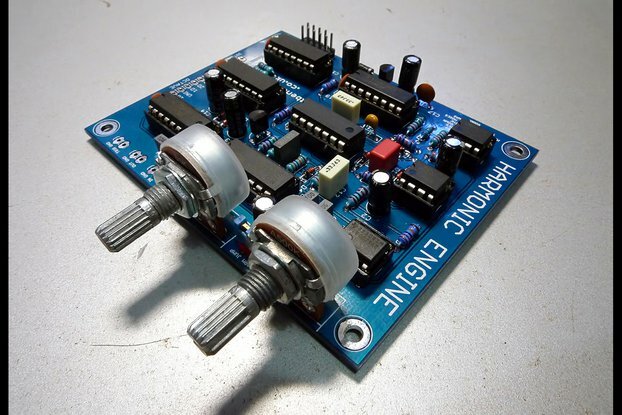 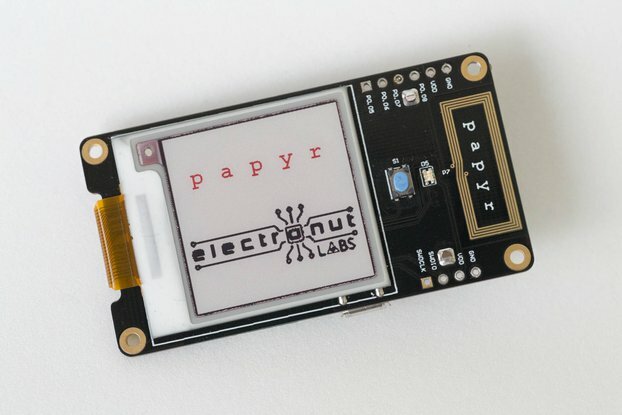 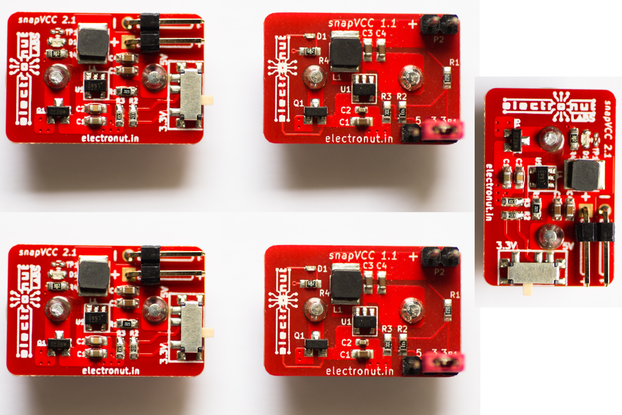 hackaBLE 2 is a redesigned hackaBLE that used the BLE SoC directly rather than a module. 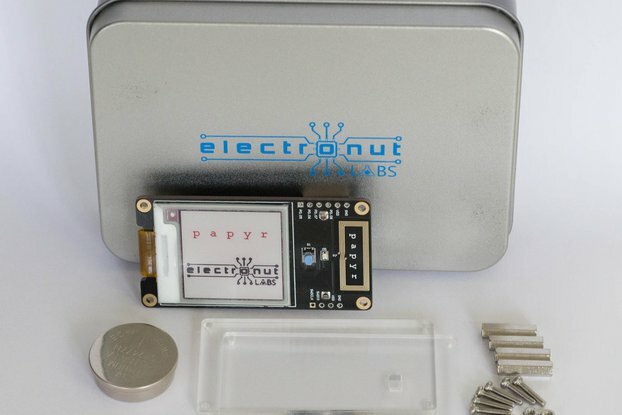 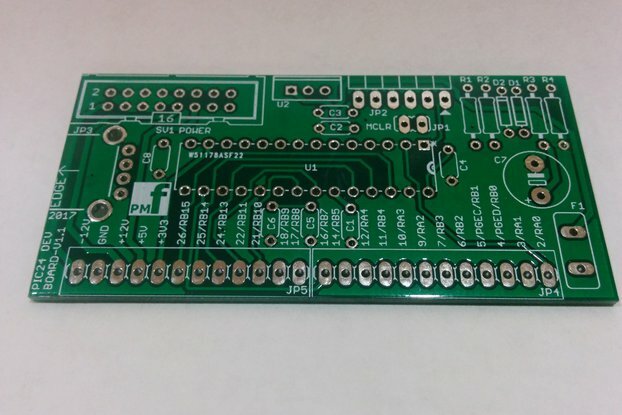 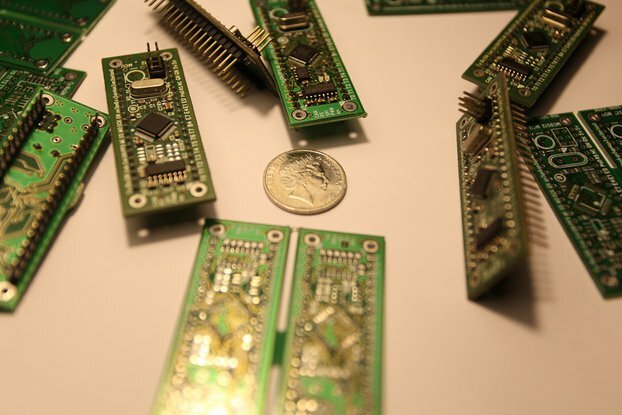 The PCB footprint and Pinout for hackaBLE can be see in the photos above. 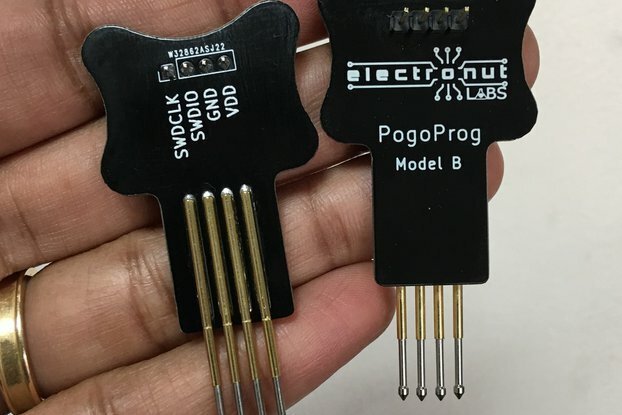 Use the four SWD pins of PogoProg on hackaBLE to upload or debug hackaBLE.